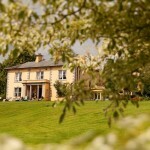 Getting to Rathsallagh House in Co. Wicklow is an easy drive down the M7 and on to the M9. It is only when you reach the turn off that it becomes a little tricky with narrow twisty roads and you have to take care for the last 5 miles. However, on the positive side it is like turning a switch in your head as you go from main modern roads back in time to completely rural surroundings and roads where you are in close proximity to Mother Nature. Cows and sheep meander in the nearby fields and the odd tractor can be seen cutting hay on a summer’s day. 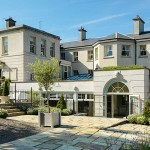 The entrance to Rathsallagh Country House Hotel fills all visitors, including myself, with a sense of anticipation. The slow speed limit gives guests time to admire the magnificent parkland landscape. The House, dating from 1798, was originally a Queen Anne stables and a perfect little jewel of a Historic Hotel where guests can come and stay when taking time off from the stresses of life. There is no parking permitted at the front of the House to destroy the ambience and cars drive sedately through the arch around to the back. Why don’t more historic houses insist on this rule if they have the room at the back? It makes such a difference to have the visual splendour of the building sitting serenely in the unspoilt landscape. It is hard to know where to start when talking about the interior of the Rathsallagh House. 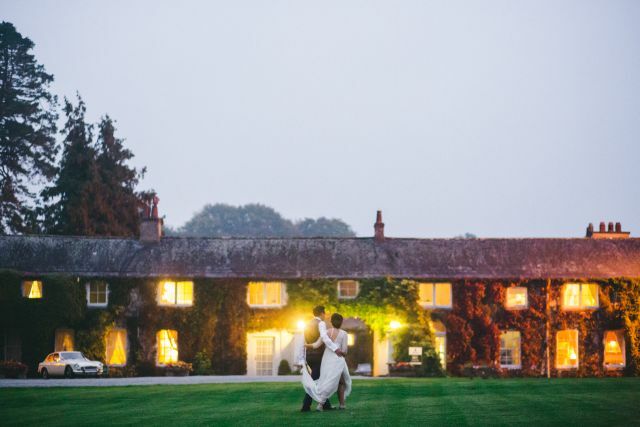 Owned by Joe & Kay O’Flynn from Cork they originally started in the hospitality business with house guests and it grew and grew until it is now one of the country’s finest Country House Hotels with 29 bedrooms. The next generation, in the form of Joe Jnr., has taken over and he too is now putting his own individual stamp on the property. I held my breath when he told me that they had just finished a makeover of the kitchen bar. I was afraid – because I had spent so many hours in that bar over many years. However, there was no need for fear as the new style is in perfect keeping with the House with banquette seating under the windows. It still exudes the same atmospheric charm. The O’Flynns upgrade their rooms on a continuous basis, which is a must in the hotel industry. The two sitting rooms are my favourite places to sit. When on a visit I always manage to sit in both rooms, just in case one sitting room might be upset. The décor is very much Kay’s style and she is one of the most stylish women in Ireland. The furnishings are straight from the pages of one of those interior magazines, such as Town & Country or Country Living which feature real houses owned and occupied by real people rather than put together by some demented designer who doesn’t realise that you need comfy seats to sit on! Like other Historic hotels I have stayed in I am also working my way to sleeping in every bedroom. I think I must be around the 15 mark by now, which should be more, but that is because I have stayed in some rooms more than once! They all have individual names such as ‘Blue Over Arch’ ‘Cottage Room’ ‘Half Acre’ ‘Rose Cottage’ ‘Little Room’; each of them charming. On this visit I stayed in ‘Lucy’, one of the newer rooms in the converted barn. 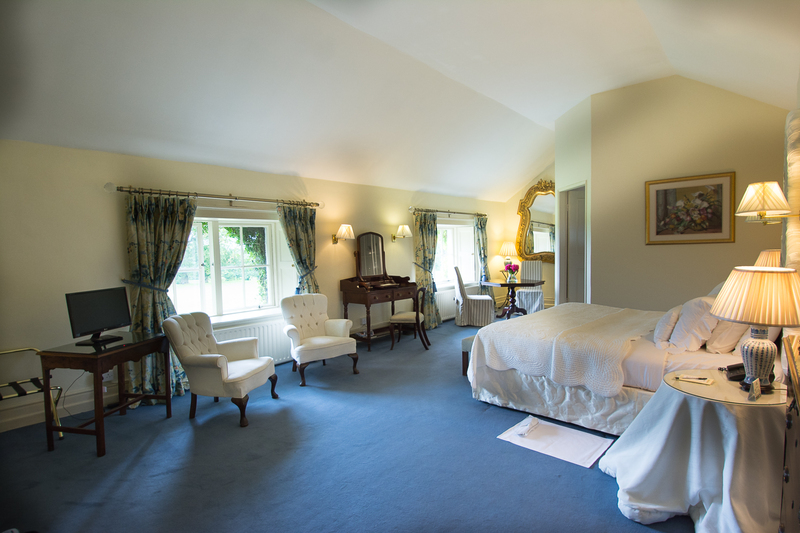 Unlike hotels who undertake extensions Rathsallagh made sure that the rooms in the new annexe were finished to an extremely high standard and they are HUGE. There is no way that any guest would feel cheated if they are staying in these rooms. The walk-in showers are simply massive. However, rather than lolling around the room I like to take a walk around their walled garden; the entrance to which is accessed by a small hidden door in the wall under one of the arches. This is a proper Secret Garden and if they are ever filming this book again Rathsallagh should be top of the location list. I love the crunch of the gravel as I walk over to the Dining Room in the main House. The room is wood panelled with a large table right in the middle always decorated with a very substantial flower arrangement which adds to the ambience. The tables are perfectly dressed with crisp white linen for dinner. They have an excellent Chef and dinner is always a special occasion so do put on some finery. It always fascinates me the way that the formally dressed Dining Room changes between dinner and breakfast where the next day the tables are dressed in country style check linen. The big antique sideboard is always laid out to perfection with the ‘piece de résistance’ being the whole cooked ham on the bone. Kay has her own chicken run and eggs for breakfast come fresh and are cooked to order. It is no wonder that Rathsallagh House has won so many awards for their food and in particular the breakfast, having won Best Breakfast in Ireland on several occasions. There are lots of interesting things to do both in Rathsallagh and in the nearby surroundings. Rathsallagh is approximately 20 minutes drive from the Kildare Retail Village where there is a very good selection of outlet shops with great value for money. If you are interested in horse racing at Curragh and Punchestown courses Rathsallagh is the perfect place, but you should be warned do book well in advance as it is a popular haunt at race time. 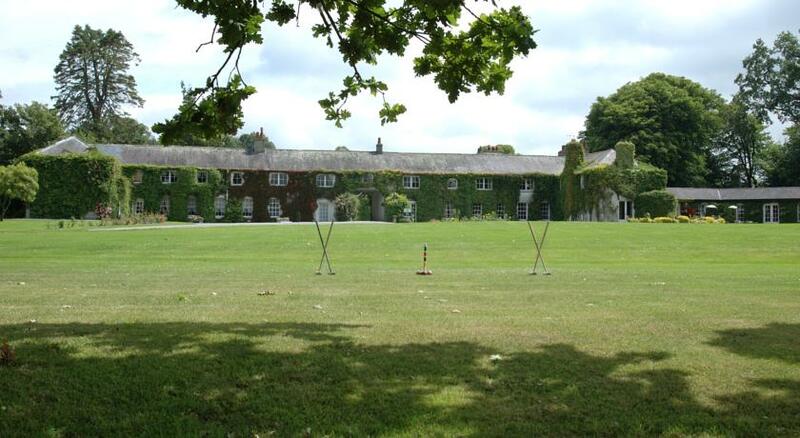 The National Stud is another popular place for guests to visit. Lazy bones can just hang around Rathsallagh and enjoy some beauty treatments or a quiet game of snooker in the Snooker Room. That shouldn’t tire you out too much. From the many times that I have stayed here it is always interesting to note how long it takes guests to depart. Perhaps they are trying to do the Crossaire puzzle in the Irish Times before they leave; in which case they might just as well stay for another night!